This is to inform the general public and all 2018 JAMB candidate who made IAUE their first or second choice of institution that the 2018/2019 Ignatius Ajuru University of Education (IAUE) post UTME screening/Admission exercise form for 2018/2019 academic session is out. Hurry now to begin your application. Click on “2018/2019 UTME Screening Screening”. 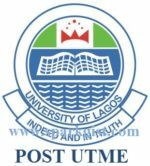 Click on “Register for UTME Screening 2018 / 2019 Session”. An SMS and E-mail containing your logon details will be sent to you. Your logon details will also be displayed on the page for you to copy. Click on Login; enter your username and password sent to your phone or email. Click on Generate Invoice below. Click on Proceed to Pay. Print your invoice. You can make your payment with ATM Card or proceed to the NEAREST BANK with your Invoice to make your payment. After a successful payment, click on Update Personal Data menu on the left of your screen. UPDATE ALL FIELDS on your registration form with appropriate information and submit. Print your Registration Slip (Photocard). Ensure you appear at your screening venue one hour before your slated time.